Normally I only buy fresh green beans in the summer. They are larger and often more tender. 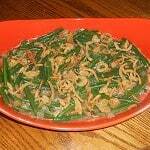 In the fall, winter, and spring I’m sad to say we usually eat canned green beans. Unfortunately when we were eating our canned green beans last week we found something toothpick like in the can and that was the end of that. 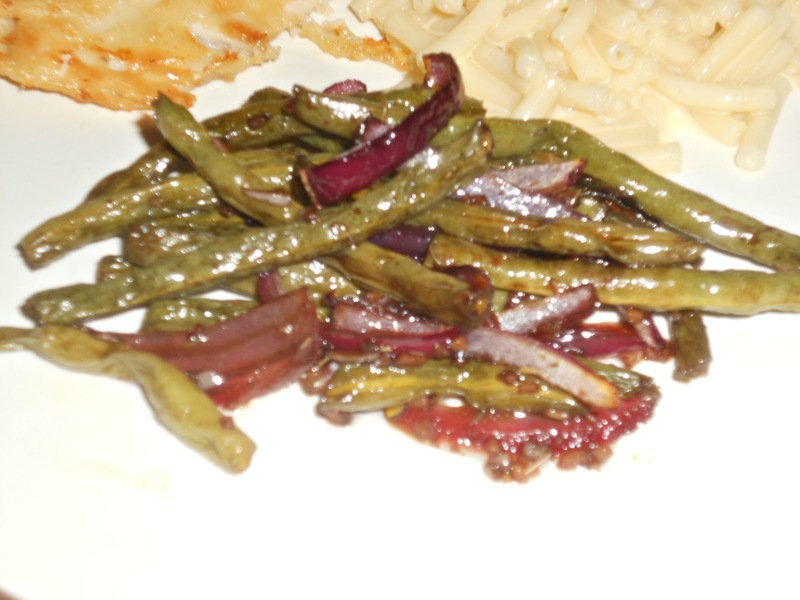 This week when I went to the store I bought fresh green beans. They weren’t as big or as tender as I like them but I figured I could roast them in the oven and make them tasty. 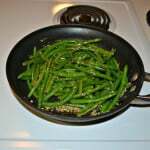 I found a recipe on Cook’s Illustrated with green beans, balsamic vinegar, honey, and some seasonings. I enjoyed these green beans. 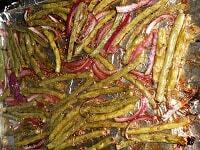 They were tender after being in the oven and slightly sweet from the vinegar and honey. The onions balanced out the sweetness and the thyme and garlic added a savory aspect. 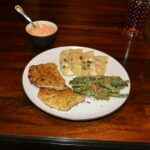 This is go perfectly with our Easter dinner of ham, potatoes, and pierogies. 1. In a small bowl combine the vinegar, honey, water, thyme, and garlic. Set aside. 2. Preheat the oven to 450 degrees. Line a baking sheet with foil. 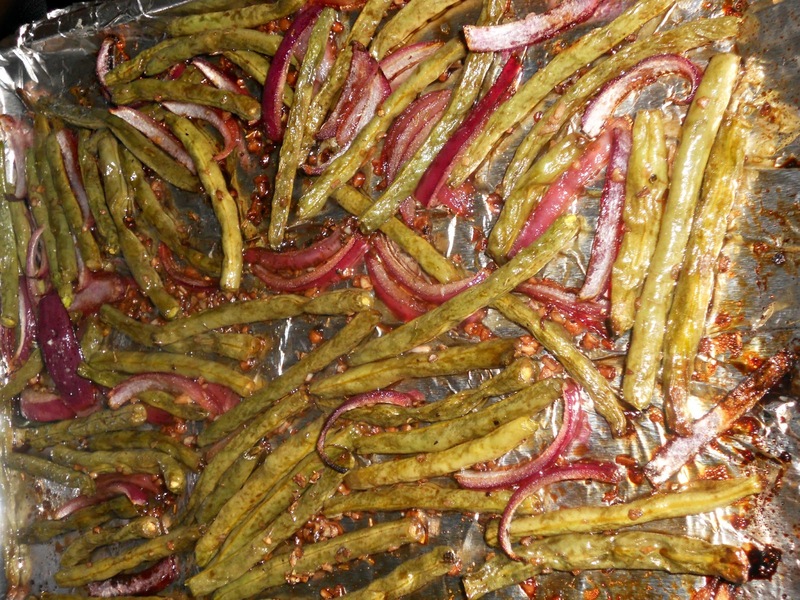 Spread the green beans and onions out on the baking sheet. Drizzle with oil olive and toss to coat. 3. 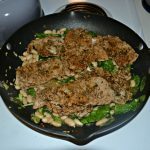 Sprinkle the beans and onions with salt and pepper and roast for 10 minutes. 4. Remove the baking sheet from the oven and pour the honey vinegar mixture over top. Toss to coat. Return to the oven for 10-15 minutes. 5. Remove from oven and season with additional salt and pepper. 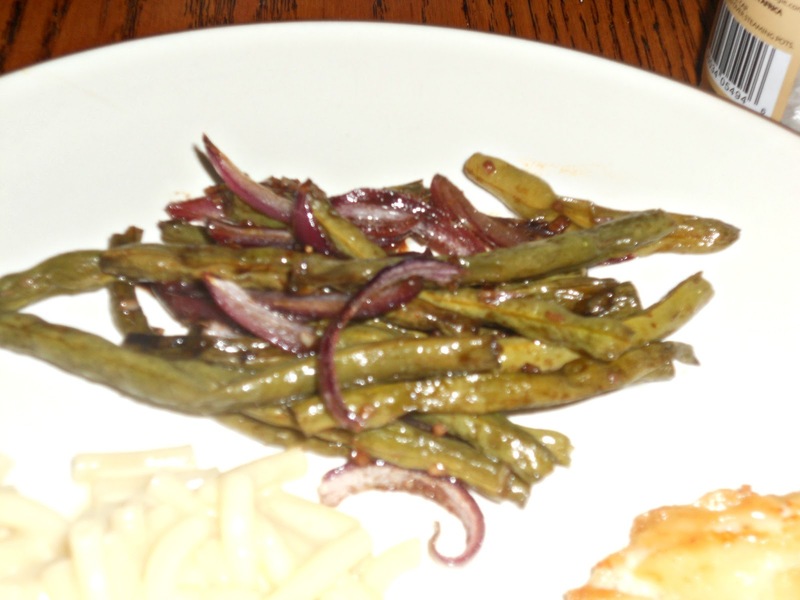 Love green beans, but had the same thing happen to me with the canned version. Can’t wait to try this recipe.